NOTE: Pre-tour and post-tours are available. See the bottom of the itinerary. Gratuity to the driver on your departure day. Arrival Airport: Naples. Inquire if doing any of the tour extensions. Departure Airport: Brindisi. Inquire if doing any of the tour extensions. You will be picked up the airport or train station in Naples. 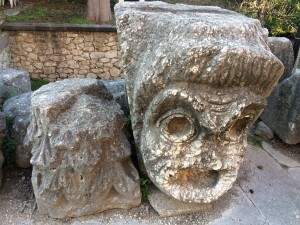 After your pick up from Naples, you will tour Herculaneum. Herculaneum, like Pompeii, was hit by the eruption of Mt. Vesuvius in 79 AD, but retained less damage so many of its buildings are still intact, including frescoes and mosaics you will see this morning. After lunch, we will make our way to Benevento. The historic medieval town of Benevento, now a UNESCO world Heritage site. Benevento was an important colony of the Roman Empire, being situated along the Appian Way, the Romans constructed to get to Brindisi and sail to Greece and to the East. Our hotel is an elegant, early 20th-century villa with its own gardens. The villa faces the ancient city walls and is only a short walk from the center of the historic quarter. 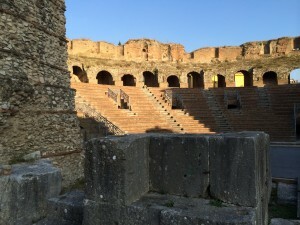 A tour of Benevento is planned this evening where we will see a well preserved Roman Theater, still in use today, and the Arch of Trajan, an elaborately carved limestone arch commemorating one of Rome’s most celebrated emperors, having presided over the greatest military expansion in its history. You may also visit the Church of St. Sofia dating from the Middle Ages, when Benevento was ruled by the German Longobards. Another interesting site you can visit here is the Museo del Sannio, a museum rich in medieval art and archaeology. 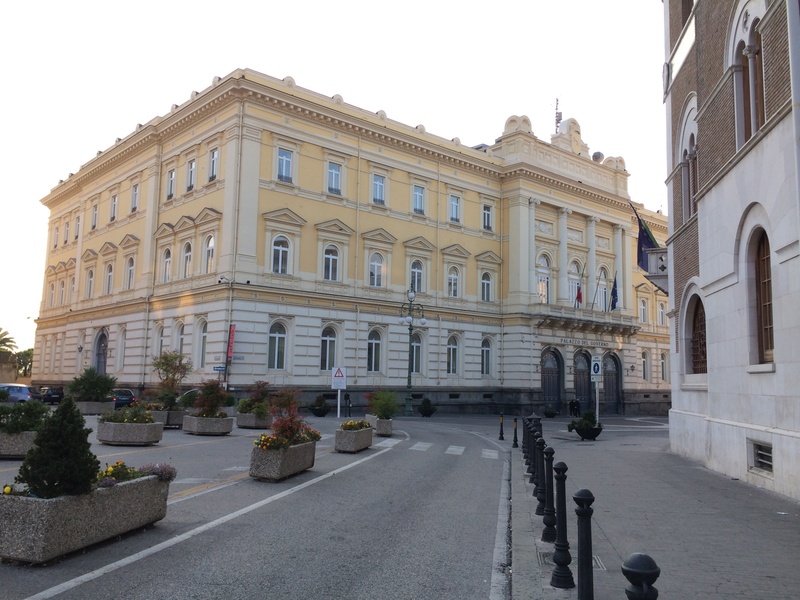 Today we will enjoy a full day of touring, starting with a visit to Caserta and its majestic Royal Palace. This Royal Palace, once home to the Bourbon kings of Naples, is one of the most beautiful and elegant in Europe, built to surpass the beauty of Versailles in Paris. The palace boasts 1,200 rooms and a magnificent 180-acre park, including a lovely English garden. The Caserta palace has been used as settings in several movies like Angels and Demons, Star Wars and Mission Impossible. Next we will continue to Sant’Agata dei Goti, a stunning clifftop town perched above a river gorge inhabited by various civilizations for more than 2,000 years. Sant’Agata feels untouched by time, its maze of narrow lanes and little plazas having changed little since its medieval heyday. We will have a chance to explore Sant’Agata’s many interesting historic sights, including a Cathedral, palace, Norman castle and a Gothic church with 15th-century mythological frescoes called The Church of the Annunziata. Sant’Agata de Goti is also known for citrusy whites made from the ancient Falanghina grape, and full-bodied reds made from the Aglianico varietal. You will have lunch in Sant’Agata, followed by a wine tasting and tour at a family-owned winery with a 400-year-old cellar. 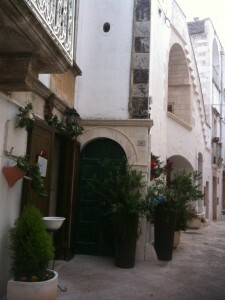 Today we will check out of our hotel in Benevento and begin our way to Trani, a seaport on the Adriatic sea in Puglia. We will begin our Puglia tour with a guided tour of Trani, a charming fishing port town. 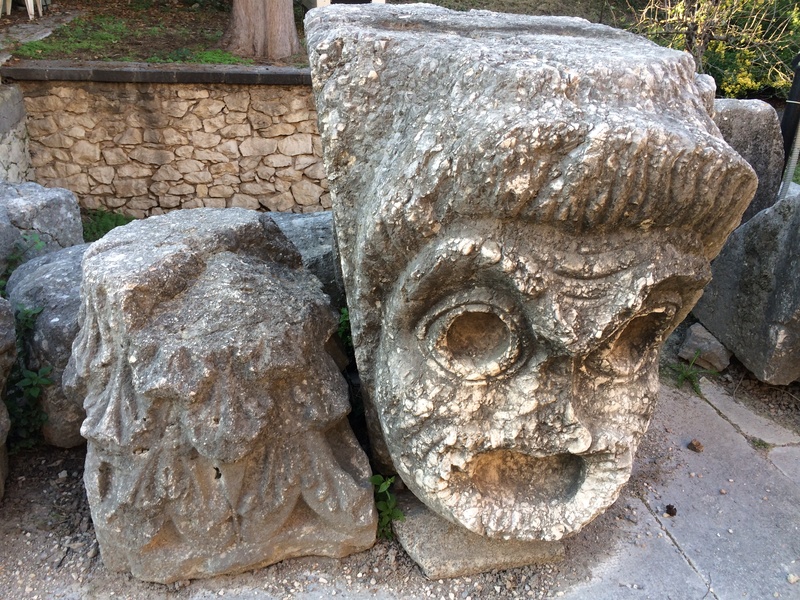 Our tour will show that The Lombards, the Normans, the Byzantine Empire, the Spanish and the French were all a part of Trani’s tumultuous past. Trani flourished during the 11th through the 13th century and was an important port for the Knights of the Templar. Your tour will include the port, the Templar Knights’ church, and Trani’s historic quarter. Next, we will travel into the countryside for a special lunch at a destination restaurant with a celebrated chef. This is one of the many highlights of our Puglia tour. We’ll visit their vegetable garden after our big lunch. 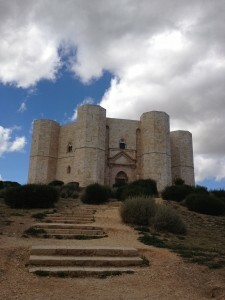 After lunch we tour Castel del Monte, a UNESCO-protected site and an important symbol of Puglia. This 13th century castle was one of many built by Holy Roman emperor, Frederick II. You will enjoy an evening of leisure in Trani, enjoying a light meal at one its local wine bars if you wish. Today, we begin our Puglia tour with a guided tour of Trani, a charming fishing port town. Before the tour, we’ll walk over to the port where the fishermen have their catch on displayed for purchase. 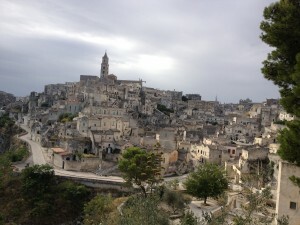 This morning we will check out of our hotel and head to Matera, our next home base. Our beautiful hotel in Matera is a real treat – a 5 Star modern luxury in a renovated 18th century palace, the best hotel in town. En route, we will go to ancient Gravina, founded by the Greeks during the colonization of Greater Greece. Inhabited since the Neolithic era, Gravina has a fascinating history, having been inhabited by numerous civilizations – both above and underground. After a series of invasions and the destruction of nearby hilltop residential centers, the inhabitants of Gravina fled to the ravine, where they used caves as shelter, carving homes to churches out of the rock. Our guide tell us about the city’s highlights and Gravina Underground. Today, move to another beautiful hotel in the resort coastal town of Polignano, where we will have more leisure time on our own for fun walks or time outside to relax at outdoor cafes and restaurants. The first stop of our Puglia tour today is Altamura, a town renowned for its DOP bread (referring to the highly coveted Denomination of Protected Origin, Italy’s food and wine seal of approval). We will taste what many claim to be Italy’s best focaccia, made in a very old bakery with a wood-fired oven. Before arriving at our next hotel in Polignano, we will visit Puglia’s hidden jewel, the town of Gioia del Colle, the birthplace of the fine wine called Primitivo. We will tour the historic quarter and its namesake limestone castle, which has seen many alterations across the centuries and was once the residence of Emperor Frederick II. After the tour of the castle, we’ll walk through the historic quarter’s picturesque series of arches and charming walkways across public courtyards. We will also taste their local products – wine and cheese. We will visit a prestigious wine producer and sample their renowned wine called Primitivo. We’ll enjoy tasting and watching a demonstration of how mozzarella is made. We’ll also see how how different the region serves and eat the cheese. Next, we continue on to the UNESCO World Heritage site of Alberobello for a guided tour. Arriving in Alberobello, you will walk among the trulli, ancient Italian stone dwellings built without mortar whose roofs are sometimes adorned with Pagan or other symbols. You will visit the trullo Sovrano, the town’s only two-story trullo, which has now been converted to a museum. You will also visit a working olive oil mill, where you will taste freshly pressed oil with freshly baked bread. Today’s journey begins with a visit to the elegant hilltop town of Martina Franca, where we’ll have some time to enjoy its beautiful historic center, with whitewashed winding lanes, typical in this region, studded with private mansions overlooking the Adriatic sea. You will also get a glimpse of the city’s beautiful Baroque architecture, from it s towers to churches. Today we will head to the heel of Italy’s boot to visit the country’s two southernmost cities. 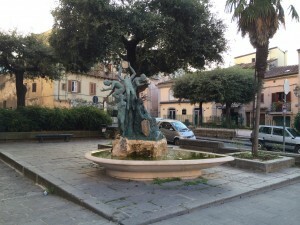 First, we will visit medieval Galatina with its beautiful Baroque town center. We will take some time to explore Galatina’s sights, stopping to see the interior of the early Basilica di Santa Maria d’Alessandria for its magnificent frescoes. We’ll also stop by Galatina’s most famous pasticerria for a taste of the local sweets, favorites including cream-filled pastries and various confections made with almond paste. Our next stop is Otranto, a walled seaside town that was Italy’s main port to the Orient for a millennium, Otranto’s history was marred in 1480, when the Turks executed 800 of its citizens for refusing to convert to Islam. The center of town is bustling with restaurants, bars and shops. We will have a nice walk in the historic center and along the waterfront. We will also see the amazing mosaic covered floor of Otranto’s cathedral. Group lunch is planned. 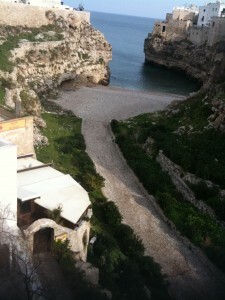 Then we will proceed to Lecce, our base for the rest of the trip. 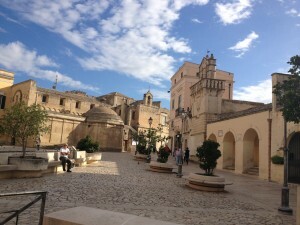 We’ll be staying in a boutique hotel in the heart of Lecce’s historic center. 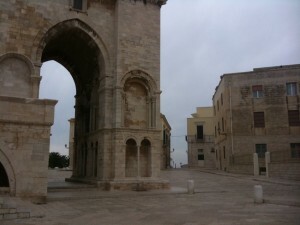 After checking into our hotel, we will enjoy a guided tour of graceful and elegant Lecce. It is located at the heel of the peninsula and it is over 2,000 years old. After the fall of the Roman empire, Lecce was sacked by the Goths in the Gothic Wars. Its list of conquerors included Byzantines, the Lombards, Saracens, Hungarians and Slavs. One of the finest Baroque cities in Italy, Lecce is known as the “Florence of the South.” The historic quarter boasts wonderful churches, monuments and an old Roman theatre. Today you will have the day free to enjoy Lecce’s beautiful baroque treasures, upscale boutiques, antique shops, and more. We will enjoy a fabulous farewell dinner together tonight. Prepare for your departure for home or your next destination. NOTE: Customize this as needed. Tour Inclusions: Accommodation at a 4 Star hotel, breakfast daily, guide service, private transportation from airport to hotel, entrance tickets and expert guide for Pompeii. A private transfer will take you from the airport to your hotel in Sorrento. En route, you will have a stop in Pompeii for a guided tour of this amazing city. Thirty feet of hot mud and volcanic ash buried this ancient Roman city completely when Mt. Vesuvius erupted in 79 A.D. Your guided Pompeii tour will be conducted by our excellent tour guide who will take you through this once-prosperous city, established in 12th century B.C. You will see villas, baths, storefronts, houses with frescoes, courtyards, pizza parlors, forum and other artifacts from Pompeii’s heyday. 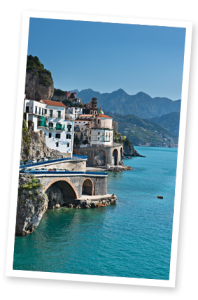 Today you will enjoy the beautiful Amalfi coast, including Positano and Amalfi. Our first stop is Positano, a beautiful old fishing village that has been feat ured in such films as “Under the Tuscan Sun.” You will enjoy a stroll here before beginning the return journey to Benevento. En route we will stop in Ravello, which has long been a retreat for artists and writers seeking their muse, from Richard Wagner to Virginia Woolf. You will be blown away by the beautiful Villas Rufolo and Cimbrone, with their gardens towering above the sea from an impressive height. Next we will visit Amalfi itself, a UNESCO World Heritage site featuring St. Andrea’s Cathedral, whose 57 steps will reward you with a great workout and an even greater view. The city is also home to the Museo della Carta, dedicated to Amalfi’s art of papermaking. Your guide will take you to the dock in Sorrento where you can be board a ferry to Capri. Perfect for strolls, photo ops of the breathtaking views, leisure time at outdoor café, Capri also offers its visitors world-class shopping. You may go and see the Blue Grotto (unusual entry to this cave). You will go to Anacapri, the town above Capri, where you will visit the famous Villa San Michele, once the home of a Swedish Writer, Axel Munthe and now a museum with spectacular views. You will ferry back to Sorrento. You are on your own the rest of the day. Tour Inclusions: Accommodation at a 4 Star hotel, breakfast daily, expert guide for planned tours, private transportation from Rome airport to hotel on arrival day, entrance tickets to sites included in the guided tour, private transportation to Rome airport on departure day. NOTE: Advise if you would rather be driven from Lecce to Rome. Our guide will meet you at the airport and take you on a driving tour to see Rome’s important sites and neighborhood. We can customize this day according to your experience. Possible sites: ancient gates of Rome, Appian Way, Roman aqueduct outside Rome, Jewish Ghetto. Rome’s fascinating history will come alive as our excellent tour guide shows Rome’s Colosseum, forum, arch of Constantine and more. The end of your guided tour will leave you in the Pantheon square, where you may sit at one of the cafes facing what some of us believe is the most beautiful ancient structure in Rome. Our tour guide in Rome will meet you at the hotel early in the morning for your guided tour of the Vatican museum, Sistine Chapel and St. Peter’s Basilica. An afternoon tour of Ancient Rome is planned after your lunch break. A tour of San Clemente Church can included after a short tour of the Roman forum. NOTE: It is possible to customize this day if needed. Prepare to depart for the airport or your next destination. Private transportation to the airport.